Would You Customize Your Yoga Apparel? There’s a new trend sweeping across yoga studios everywhere. It’s become an interesting blend of the preppy styles seen in fashion magazines meeting athleisure apparel. Many yogis are trying to decide how they feel about the new custom apparel that is popping up around town and in their yoga studios. It may come in the form of a scripted first name stitched on a yoga bag or an elegant monogram on a jacket. You may even start to see yogis with customized yoga leggings sporting their initials or full names on the front. How would you feel about wearing this custom apparel for yoga practice? On the one hand, customized yoga apparel can be a great tool to help build a community in yoga classes across the country. Seeing someone’s initials on his/her bag or their shirt can help you to remember the name when you see them or when you return home. It’s a small reminder that stops just shy of wearing a physical name tag to your yoga class. The community is an important aspect of having a full and well-developed yoga practice. These customized materials could give your classmates the confidence they need to strike up a conversation with you, now that they have been subtly reminded of your name. It also allows yogis to connect with one another about where their clothing came from. Few people have the tools or the skills required to customize their own apparel at home without some help. Asking someone where they purchased their customized gear can open the door to further conversations and potential friendships. Of course, you will have to be committed to following the conversation past this basic point to strike up a lasting relationship with someone. Customizing your yoga apparel is also a great way to keep track of what belongs to you in the classroom. Throughout the practice, you may find yourself shedding layers or loaning props to a friend. When the end of the class arrives, you can’t quickly identify which sweater, props, or accessories belong to you instead of your nearby classmates. Having your initials or name sewn onto the fabric makes this identification much simpler. It can help you to avoid confrontations and arguments from a classmate who believes your sweater may belong to him/her. It could be a unique and wonderful way for you to express your creativity and individuality during your yoga practice. The combinations of styles and colors you can choose from to customize your apparel is seemingly infinite. You only need to find someone who is qualified and talented enough to perform the work you imagined when you purchased the item. This a great time to get creative with fonts and introduce small splashes of color onto neutral items. In the end, there are very few inherent disadvantages to customizing your yoga apparel beyond the cost of doing so. Adding anything custom to your clothing is bound to come with a cost, so you will have to weigh whether you believe these relatively minor benefits are worth the price. I like to do a combination of things when it comes to healthy living; and, a drive to live self-sustainably is one of the major ones. Self-sufficient living means that you provide for all of your own needs without outside help or resources. It not only requires skill but firstly independence. As with any decision you make, your why needs to be strong enough. – Providing healthy foods for our household. – To be in control of how I plant and harvest the foods so I know exactly what we consume. – To feel a sense of independence. – To develop an economical nature as it is cheaper to grow your own produce than buying it from the store. Plus, I always have it literally on my doorstep, instead of always driving somewhere to get it. In reality, however, there are more reasons that you might not instantly think of. One example is preparedness. If anything goes awry, you won’t be shaken to the ground. It could be political. As there are major cooperations running the world and marketers targeting us from left and right, you might want to be in control of your own happenings. A pivotal reason might derive from the social disagreement as self-sustainable lifestyle produces less waste and supports local agriculture. Have you ever heard of a 100-mile diet? It runs hand in hand with self-sustainability. My fundamental one is obviously personal (as it should be anyone’s who decides to live self-sustainable). I feel accomplished by growing my own crops and I like to know exactly what goes into my mouth. 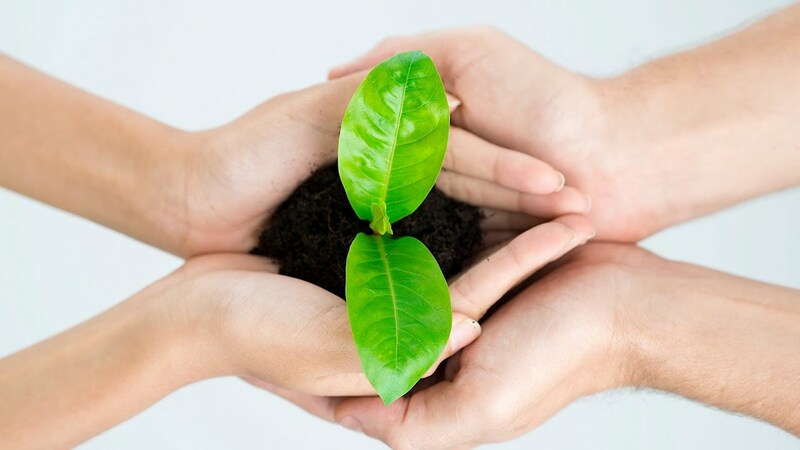 There’s a smaller footprint left behind if you’re one who cares about the environment deeply. The one aspect I prefer the most is economic as seeds are normally inexpensive and most can be easily cultivated by yourself. There is no guide for becoming self-sustainable. For me, it most definitely didn’t happen overnight. I also didn’t choose it intentionally, but it rather flowed naturally. Look for opportunities within your community to barter. You can trade your produce with some of what your neighbor produced. Look for suitable jobs in your area and operate from home when possible. You’ll save gas. Also be mindful of what car you’re driving, if you can’t avoid commuting (opt for public transportation or carpooling when possible). Or when the weather is nice, biking is always a great way to get your exercise in while going places, too. You’ll learn new skills, achieve financial freedom, and learn how to make things last. Buy clothing made of natural materials as it will last you longer, and will leave smaller effects on the environment. If you are considering to get a new pair of yoga leggings then these cotton leggings from Amazon would be a good sustainable choice. Learning to sew and making your own clothes is also a great way to make materials last much longer than they normally would. It is in human nature to prefer options; and, there are always alternatives to what we choose – so choose wisely. For me, there are still major areas where I’m rather merging the best of both worlds; but it’s the kind of lifestyle I’m proud of leading. It obviously depends on the community in which you live in and to what extent you can manage self-sustainable living. Starting out by carrying your own reusable bags to the store and buying unpackaged produce in your own glass containers is a great start. Paired with eating foods that are produced locally and in the season, you’re on a great track to help form a cleaner environment for us all. Yoga has a rich and illustrious history. Its foundations are rooted in tradition and stories that offer you clear and simple guidelines to live a healthy and spiritually aligned life. Many people are drawn to yoga philosophy as well as the more physical aspects of yoga. However, if you are a yoga beginner you may feel daunted and overwhelmed by the subtler philosophical aspects of Yoga. Have you heard your yoga teacher talk about Patanjali? Or the words yoga sutra’s yama’s and niyamas and wondered what that has to do with yoga? Did you know that yoga is over 5,000 years old and originally, practiced by monks and seers as a way to assist them connect more deeply with the divine? The roots of yoga can be traced back to the Indus Valley Civilization (mature period 2600 – 1900 BCE) that flourished in the Indus River Basin. This area covers most of Pakistan and extends into parts of modern day India. Several seals discovered during the Indus Valley Civilization (c.3300 – 1700 BC) depict figures in yoga or meditation like postures, which suggest yoga, was practiced then. The word ‘yoga’ comes from the Sanskirt language and means union. In the west there are many schools of yoga, but the goal is always the same, to achieve union, total harmony between body, mind, and spirit traditionally in each individual and the divine. In today’s modern climate, many students view yoga purely as a form of physical exercise and do not realize that behind the physical exercises lies a deep and long standing philosophical history and tradition. The “mind” aspect of Yoga is often negated to the practice of meditation. However, it goes much deeper that this and has its roots steeped in Yogic tradition. Running alongside your asana and meditation practice is the philosophical side of yoga. Yoga philosophy provides you with a deeper understanding of the relationship between your mind, body, and spirit. 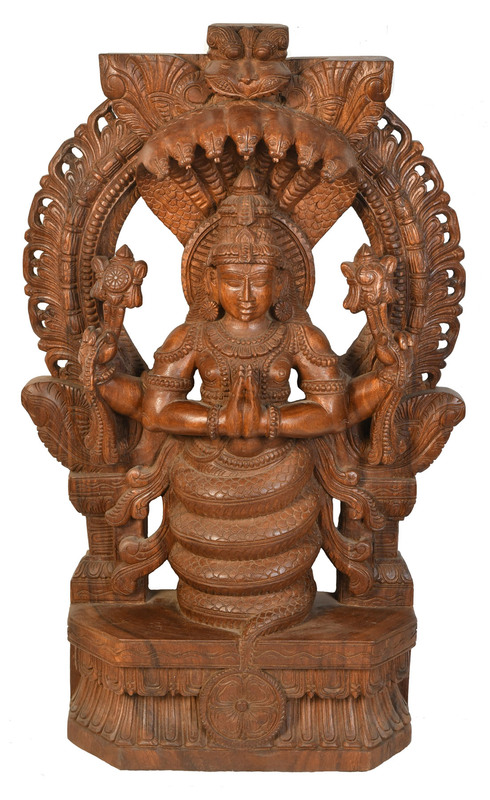 Pantanjali is known as one of the founders of yoga. Born around 300 BC, Patanjali’s texts give you a set of 196 aphorisms or threads known as the Yoga Sutras. This work epitomizes the principles and practices of yoga as it brings together all the various strands and thoughts of yoga philosophy into one comprehensive bundle of knowledge. These threads cover all aspects of life, from giving guidelines on how to live a healthy industrious life right through to thoughts on how you can reach the ultimate goal of yoga – self-realization. Through studying Patanjali’s text and understanding his teachings it is possible for you to gain a deeper understanding of the history and philosophical roots of yoga. This understanding will help to underpin your yoga practice and efforts to gain control over your mind and emotions as you aspire to lead a more spiritually aligned and balanced life. While performing yoga may seem as simple as exercising on a mat, there is much more to it. More so when it comes to Vinyasa yoga. Although you may already know that Vinyasa yoga is a yoga performed in a flowing motion, there are other aspects that you may not. Here are five interesting additional facts that you may not know. Most types of yoga follow in the same poses and the same exercises every time. For example, Hatha yoga follows a sequence of 26 postures every time. This can be a bit boring when done repeatedly. Vinyasa yoga on the other hand, offers a different kind of spice. No one can fully predict the movements since there is a different approach every time. This has the benefit of creating mental clarity for practitioners. The only thing student is expected to control is their reaction to these movements. The Vinyasa yoga instructor is not held into following a set sequence, giving them room to be more creative. This also explains why many other branches of yoga have developed. Vinyasa yoga is an offshoot of Hatha yoga, a stricter type of yoga. Vinyasa yoga is designed to be faster and more fun. One key factor is that it is faster paced, and the movements are linked together with breathing motions. This is why it is considered to have greater health benefits compared to other forms of yoga. In one single session, a practitioner can move through all the asana families or categories. Each posture in yoga comes from one of these categories. The categories include all standing postures, forward bends, and backbends. In other types of classes, the students go through each category over the weeks. This can delay one’s understanding of yoga in general, as compared to Vinyasa yoga. One of the common fears of those wishing to take yoga classes is that they will be unable to master the poses. Some look too complicated to achieve while others appear tiring. In Vinyasa yoga, the instructor meets the student at the middle. That’s why it is said that Vinyasa yoga accommodates people of all shapes and sizes. The shapes and sizes of our body structures are different. This creates a difference where each person achieves each pose differently. There are those who have short hands, open hips, or longer limbs. Each of these people will experience yoga differently. With this in mind, a Vinyasa yoga teacher will embrace each student accordingly. Let your clothes reflect your story. Shop the above look here . The sequence of movements in Vinyasa yoga is designed to tell the life story. The practitioners start their movements with the child pose and end with the death pose. It is supposed to show one’s movement through life. Each pose is a transition that one is supposed to embrace gracefully, even in life. The transitions represent the in-between and every part of life is connected to the next. Therefore, while we may not be where we want to be in life, we always know that we are on our way there. These are the five interesting facts that you may not have known about Vinyasa yoga. You can now share with your friends and teach them something they may not know. We all have days when we’re in the zone, feeling completely calm and relaxed. Other days, not so much. Our minds are going a thousand miles an hour while thoughts and to-do lists are consuming our thoughts. On those days, it’s especially difficult to get into a focused state but it happens to all of us. It can be frustrating when you can’t control racing thoughts and shallow breathing, enough to make you want to forget meditating altogether. Don’t give up so easily! 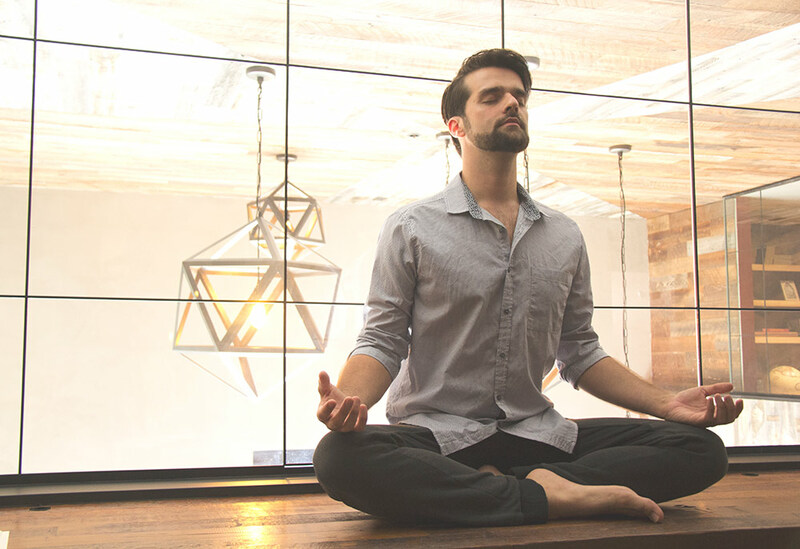 These five tips will help keep your mind centered and enhance your meditation practice. Find a quiet spot, grab your mat, and get ready to regain your sanity and your zen! Find a place in your home that you can designate as an area you use strictly for meditation. A quiet place that has minimal interruptions will be best. Even if you only have a corner in your bedroom, make sure it’s away from the TV or any other electronics and free of any clutter. You can place a candle or incense in this space or hang a photo that reminds you to focus on your breathing. If you don’t have a room or space in your home, simply take out your yoga mat or a pillow and use it exclusively for meditation purposes. This will trigger the mind to get into a relaxed state. Going into a meditation session with racing thoughts and shallow breathing is not going to get you very far. If you are feeling stressed or anxious, try going through a few gentle poses to get your body and mind prepared. Sometimes when the mind is unsettled, it can be difficult to get the body to follow. Downward dog and child’s pose are perfect and will help you ease into your practice. Like many things in life, we all put expectations on ourselves for what we believe something should be. Meditation is no different. Letting go of any stress or preconceived notions of what the perfect meditation practice should look like is counterintuitive. Everyone’s practice looks different and that is totally fine. What works for you might not work for someone else and vice versa. Each time you meditate might even be different, depending on many factors. Try to relax your mind and just focus on your breath. Let go of all control and let your meditation take you where it needs to go. You might be pleasantly surprised the minute you let everything unfold on its own. Or anywhere outside of your designated meditation space. All of the things that you are worried about will be waiting for you when you’re done. Let this be your time to find peace within, away from the chaos of the world. Just like you make appointments to see your doctor, this is a very important appointment as well. Imagine you are in a bubble, where time stands still. No negative thoughts can enter your bubble. Let the breath be your main focus, as you take deep inhales through the nose and exhales from your mouth. Even the world’s most spiritual and experienced yogis and meditators encounter times when they have a difficult time finding inner silence. You will most likely experience this one time or another, but don’t get down on yourself. Your mind will want to wander and that’s okay. Acknowledge when this happens and move on. One day you might be more preoccupied with a problem than other days. On those days, make sure you are extra gentle on yourself. Create a loving mantra for yourself and repeat it over and over again in your head. This is your practice, unique to you so don’t compare it to anyone else’s practice. This is it. Thanks for reading! Which step is your favorite?